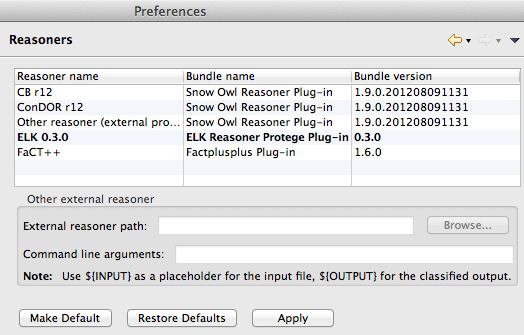 You can select the default reasoner in File > Preferences > Snow Owl > Reasoners. New OWL API compliant reasoners can be added to Snow Owl by copying them into the dropins folder. For further information please refer to the section in the installing a reasoner. External reasoners that do not support the OWL API can also be included from the reasoner preference page. 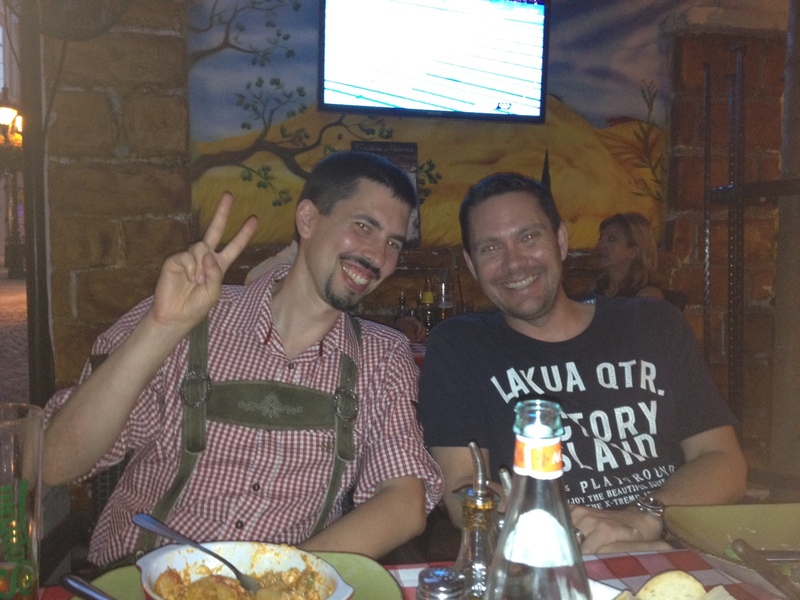 ELK is Snow Owl's default description logic reasoner. In addition to being the fastest reasoner for SNOMED CT in the world, ELK provides partial support for concrete domains, which are becoming increasingly important to represent national drug dictionary extensions. Snow Owl includes the latest ELK 0.3.0, which includes support for additional OWL EL constructs. ELK now supports EL++ restricted to safe nominals (see Practical Reasoning with Nominals in the EL Family of Description Logics) with partial support for concrete roles. Snow Owl also bundles FaCT++ 1.6.0, which supports OWL DL and provides partial support for OWL 2. FaCT++ supports universal restrictions, negation, and disjunction, and is currently the best choice if your Snow Owl ontology makes use of these constructs.